Mitzi Morris, DMD, PC is pleased to serve the residents of Roswell, GA and the surrounding communities with premium dental implants restoration and repair services. Dental implant supported crowns and bridges are revolutionary restorative dental solutions that can be used to replace one or more missing teeth. They provide an attractive alternative to conventional bridges and dentures because they act and look like natural teeth. In addition to their attractive appearance, dental implant supported crowns and bridges can also positively affect your dental health by preventing additional tooth loss. For these reasons, Dr. Mitzi Morris and the staff at Mitzi Morris, DMD, PC are proud to be able to repair and place dental implant supported crowns and bridges for individuals in Roswell and throughout the communities north of Atlanta. Dr. Mitzi Morris is an experienced dental implant restoration and repair dentist serving Roswell and the surrounding areas. Dr Morris has received extensive training in the repair and restoration of dental implants and has had many years of experience working in this facet of cosmetic restorative dentistry. 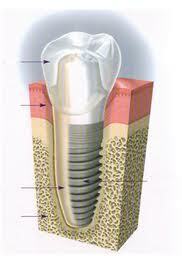 By providing dental implant supported crowns and bridges, Dr. Morris has restored the form and function of countless smiles throughout north Georgia. If you have an existing dental implant supported crown or bridge that is in need of repair or if you are looking for a dentist you can trust to attach a dental crown or bridge to your existing dental implant, we can help. Don’t let missing teeth ruin your smile and your confidence! Contact our Roswell GA Dental Implants Practice today so we can get you on the road to a more beautiful, healthy, fully functioning and confident smile! For your convenience, our office accepts credit card payments and we also offer financing through CareCredit. We look forward to helping you achieve your best smile.